Disclosure: We were invited to the Grand Opening as media! We received gift bags for attending. Oh what a site it was! Toys here. Toys there. Toys everywhere! 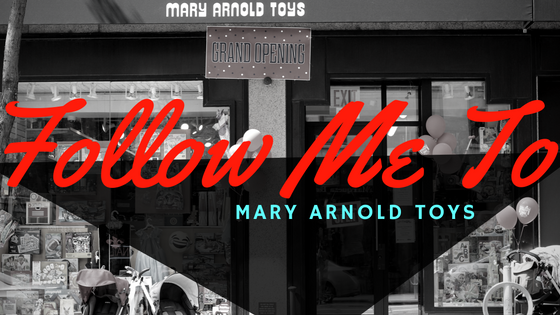 We were invited to have an amazing time at the grand opening of the new Mary Arnold Toy store here in NYC. 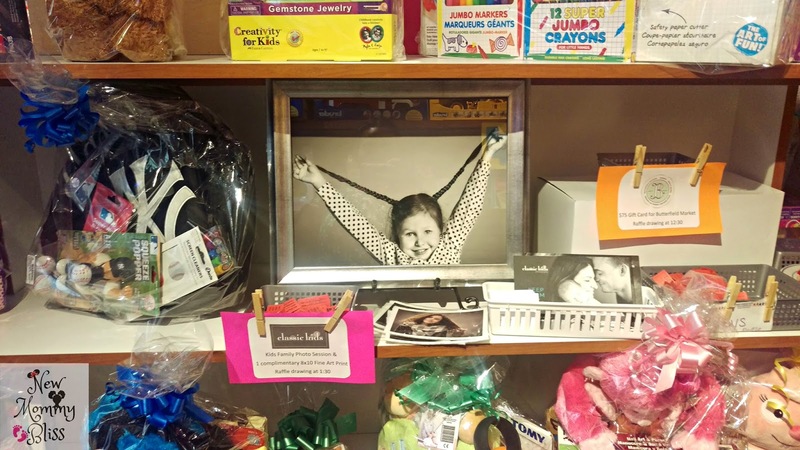 As soon as you walk in, you could sense the love and friendliness in the store. 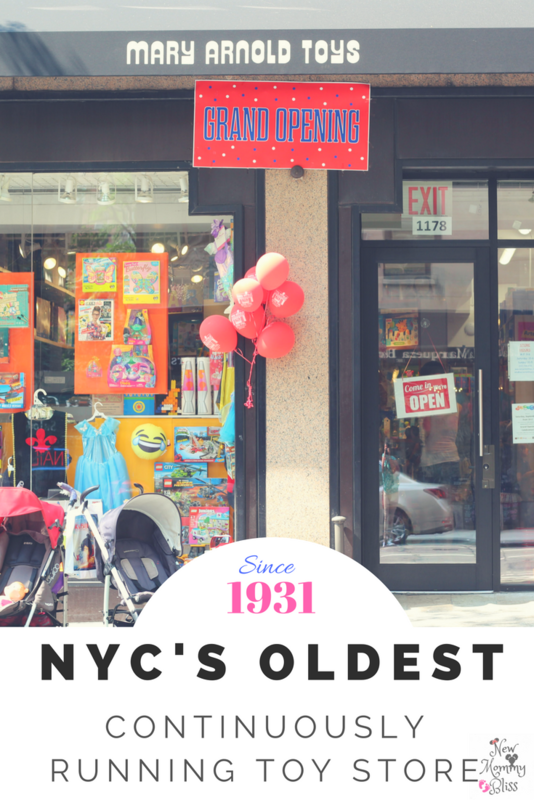 Would you believe it is considered NYC's Oldest Continuously running Toy Store? The store, which opened originally in 1931, had been on Lexington between 72nd and 73rd for 19 years before the new move to Lexington Avenue between 80th and 81st Streets. Ezra and Judy Ishayik are the owners of this small in size, but Big in fun shop. The Father-Daughter duo greeted everyone like family and made our first experience at the Mary Arnold Toy Store truly wonderful. When I told my friend about it, she got really excited since she grew up going to that toy store! She now has her own sone and was excited to introduce him to a piece of her childhood. Everything you buy at the Mary Arnolds Toy store is Gift wrapped and free delivery is provided within a 20 block radius. I can only imagine how children must feel when they receive a hand wrapped gift personally delivered to their door. Their new location is open seven days a week, from 9 a.m. to 6 p.m. on weekdays, from 10 a.m. to 6 p.m. on Saturdays and 10 a.m. to 5 p.m. on Sundays. It's only right that you stop by if you're ever on the Upper East Side! What are your favorite Childhood Toy Store memories? Wow, this has been around for so long. I love toy stores, takes me back to my childhood. I would have loved to receive a gift delivered to the house as a child. This is my husband's kind of store. Haha. My favorite toys from memory are paper dolls. I absolutely LOVE toys stores, even though my kids are almost 18 and 15. I am definitely going to check this store out the next time I am in the city! That is so much fun, I love taking my kids to the toy store - the best is around Christmas and their eye are always so big! I love toys stores like this. It is so much fun for the kids to shop and they usually have toys that not everyone has. I especially like that they usually aren't full of plastic made in china toys. This one will be on my list the next time I am in NYC. Aw, I love awesome toy stores! It looks like you have some really good reasons to visit here. What a cool place! I hope to be in New York City soon, so I will put it on my list of things to do. i love toys stores they are so fun. My son is a huge fan of them as well. Oh I sure love toy stores and can only imagine what a wonderful experience it was to visit! How nice that things are wrrapped and delivered locally. What an awesome toy store, seems like they have all the toys anyone could need! I love how it's family run! Aw so glad there was so many happy memories in the toy store. I think my memory would be in Toy's R'Us and looking at all the toys I wish I could buy! It looks like such a fun and eclectic toy store. My son would love to visit! He's 2 and into toy shopping. This is actually my first time hearing about this store, but it sounds like it's an exciting toy store! I'm big kid at heart, because I still love visiting toy stores. When I was little, I used to love going to Kay Bee Toys and Toys 'R' Us. Those were my absolute favorites! This is amazing! It looks like a fabulous and super fun place. I can only imagine how my little guy would be if I take him there! This store looks absolutely amazing. I love stores that are set up like this and that give you a home time feel.